Buying a home is one of the most exciting things a person can go through. When you decide to purchase a home you’re making the decision to put down roots and offer a permanent place of comfort to your family. Buying a home puts more than a roof over your head. It buys warmth and comfort to all who enter. 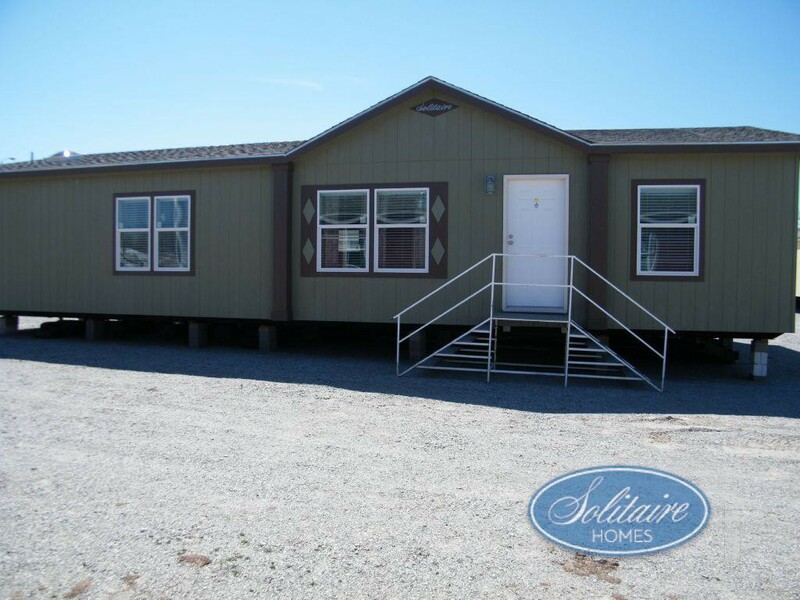 At Solitaire Homes we are proud to offer a large selection of single section and double section manufactured homes for sale. Our homes are incredibly high quality and are built to last a lifetime, so you never have to worry about your home and can spend time instead making memories with your family. Before you start shopping for a home, it’s important that you look at finance options. Manufactured home financing is a little different than that for traditional site-built homes. Chattel Financing | Great for those looking to just purchase the home (applicable if you already own the land), you’ll need anywhere between 5% and 20% for a down payment. The amount needed will depend on your credit score. Cash | Although rare, some people choose to pay cash for their home and avoid any sort of payments. This is a fabulous option for anyone who has it available. In fact, buying cash gives you a lot of bargaining power. FHA Financing | FHA mortgages are backed by the federal government and something we can help you with. Use Land as Down Payment | You can choose to use your land as collateral for your mortgage. The amount given for your down payment will depend on the appraisal of your land. Bank or Credit Union | Talk to your bank or credit union about available options. There are a wide variety of financing options available to families. Contact us to learn more about available options and which one might work best for you. You can also submit a finance application on our website. Once we receive your application we will get in touch with you and help you get the home of your dreams.